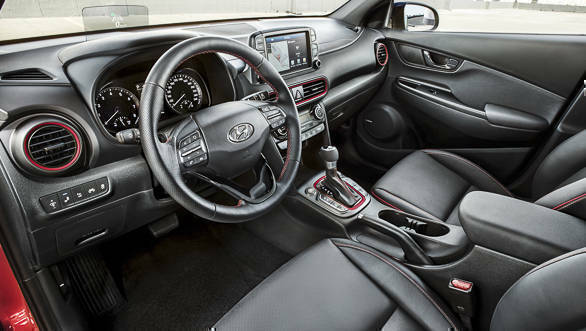 It has been barely three months since Hyundai revealed the all-new Kona subcompact SUV, and it is in news for all good reasons. The Hyundai Kona has received five stars in the the Euro NCAP tests. The Kona offered the highest levels of safety in all departments of adult occupant, child occupant, pedestrian and safety assist. 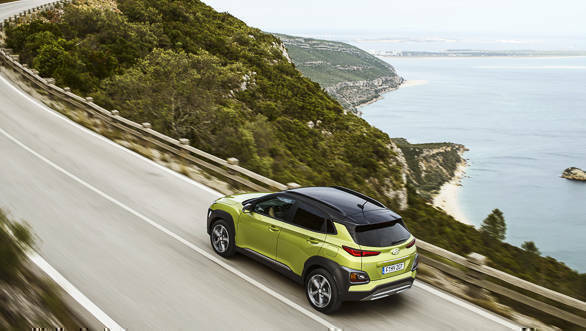 The Euro NCAP crash test result for Hyundai Kona states that the passenger compartment of the Kona remained stable in the frontal offset test. The dummy readings indicated good protection of the knees and femurs of the driver and passenger. The protection of the passenger dummy too was good for all critical body areas in this test. In the full-width rigid barrier test, the protection of the driver dummy was good for all critical parts of the body and that of the rear passenger was good apart from the chest, protection, which was adequate. In the side barrier test, the Hyundai Konsa scored maximum points, with good protection for all body areas. Even in the more severe side pole impact, protection of the chest was adequate and that of other parts of the body was good. The tests on the front seats and head restraints demonstrated good protection against whiplash injuries in the event of a rear-end collision. A geometric assessment of the rear seats indicated marginal whiplash protection. An autonomous emergency braking system (radar-based safety features such as collision avoidance, lane assist and a lot more) is available as part of an optional safety pack. In tests, it showed good performance at the low speeds at which many whiplash injuries are caused but the results are not included in this assessment because the equipment is not standard. The Hyundai Kona is roughly the size of the Creta SUV sold in India. Whether Hyundai is planning to launch the Kona SUV in India at all, is what needs to be seen. A clarity on the same can be expected at the 2018 Auto Expo.